This week we have a great opportunity for students to learn about the history and impact of the Pasadena Art Museum. With the acceptance of the extensive Galka Scheyer collection of Feininger, Kandinsky, Klee, and Jawlensky in 1954, the Pasadena Art Museum began 20 years of extraordinary exhibitions and collecting, made possible by exceptional directors and curators. From the internationally celebrated retrospective of Marcel Duchamp to the first Andy Warhol retrospective and beyond, the museum made major contributions to the cultural life of the Los Angeles region. Pacific Asia Museum’s exhibion 46 N. Los Robles: A History of the Pasadena Art Museum is closing this weekend. On Thursday, 4/5, guest curator Jay Belloli will give a lecture and slide show on the Pasadena Art Museum in our 1010 Westwood Center. 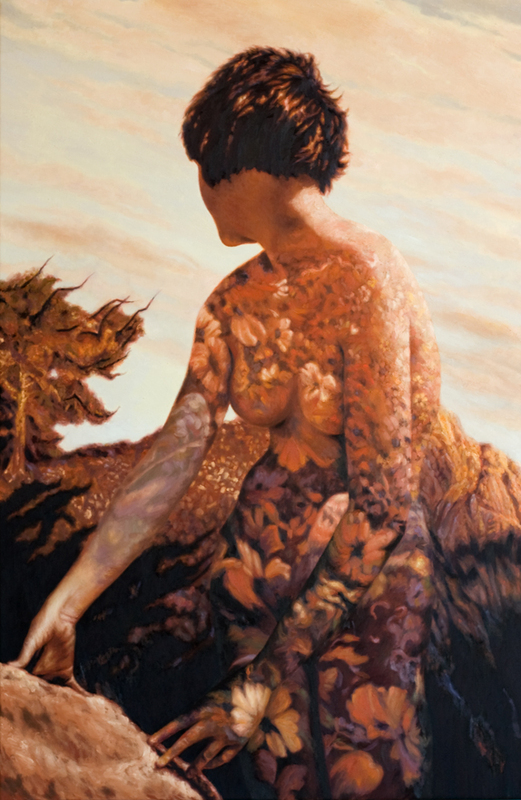 Then this Saturday, students will visit both Pacific Asia Museum and the Norton Simon to view works up close and meet one of the participating artists. It should be a fun and informative session for anyone interested in the history of the Los Angeles art scene. For more details, and to enroll in the class, click here. The Visual Arts program offers a range of courses for adult students who want to improve their artistic skills, pursue a hobby, or just have fun in the classroom! Click here to view our spring course offerings in studio arts, art history and photography. Most courses meet in the evening or on weekends, and many are appropriate for students with no previous background in the arts. This spring we’ll be offering courses in Collage and Assemblage, Ikebana, Caravaggio, Photographic Portraiture, and more. Courses are open enrollment, so there is no lengthy application process; students can enroll in any courses that they feel suits their experience level and interests. Questions? E-mail visualarts@uclaextension.edu or call (310) 206-1422. Painting by instructor Alison Blickle. This Spring intrepid instructor Mary Beth Carosello will be back to lead Part III of our Art History Survey Series. The lectures concentrate on the masterpieces of architecture, painting, sculpture, and related arts from the late 17th through early 20th centuries. The course begins with the transition from Baroque to the Age of Enlightenment and Romantic-Classicism in the 18th century. Continuing with Realism, Impressionism, and Post-Impressionism, instruction emphasizes the work of Goya, Monet, Degas, Cézanne, van Gogh, and Rodin. Special emphasis is given to contemporaneous developments in architecture from Jefferson’s Monticello and the Arc de Triomphe to the skyscraper. The variety of movements that ushered in the 20th century include a study of Munch and German Expressionism, Matisse and Fauvism, and Picasso and Cubism, continuing through the work of Mondrian and the architecture of Gaudí and Frank Lloyd Wright. Class meets on Tuesday evenings at the 1010 Westwood Center for 11 weeks, beginning April 3. There’s also a field trip to the Getty! Click here to enroll. Art History Survey Series begins tonight! Please note that the class will now be meeting in room 415 at the 1010 Westwood Center (not on UCLA campus). We’re happy to have Mary Beth back, and know she’s excited to start class again. Part II of the series begins in the Proto-Renaissance in Italy and proceeds to a full study of Renaissance art in both southern and northern Europe. The course continues with the study of Mannerism in Italy, Baroque art throughout Europe, and concludes with Rococo. Artists and artworks studied are a select group representing the high points in cultural achievement, including Giotto, Jan van Eyck, Brunelleschi, Donatello, Leonardo da Vinci, Michaelangelo, Dürer, Holbein, Rubens, Velasquez, and Rembrandt. There are also two field trips, one to the Getty and one to LACMA. If you’re interested, check out the details. If you’re dropping by this blog but are not familiar with who we are or what we do, here’s a little introduction. 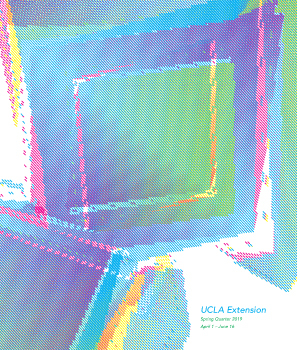 UCLA Extension is the continuing education arm of UCLA. Here in the visual arts program, we offer open enrollment courses in fine art (including drawing, painting, mixed media, etc), art history, and photography. That means that anyone can enroll – you don’t have to be a UCLA student, and there’s no formal application process to go through. We program our own classes, separately from campus (although we do offer courses that carry UC transfer credit), and our instructors are working professionals in their fields. Most of our courses are offered on weekday evenings, or on weekends, and our students are largly working professionals who have a passion for the arts and want to keep their practice active, or just learn more about figuration, Photoshop, or the masters of the Renaissance. You can see samples of our students’ work on this blog, and a few instructor images included below. Click here to see what we’re offering this quarter. There are courses appropriate for all experience levels, and we provide a classroom environment that is supportive yet challenging. Questions about the program? Call (310) 206-1422 to speak with an advisor.